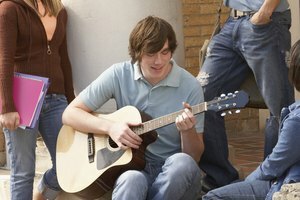 Music and art classes are an important aspect of education. Though only a small percentage of students go on to be professional artists and musicians, appreciation and participation in the arts is an important part of the developmental process. The arts are often the first classes cut by cash starved schools, and some consider them not as important as sports or other core subjects. However, studying the arts has been linked to stronger academic achievement. Numerous scientific studies have been conducted showing a strong correlation between arts education and improvement in other core academics. 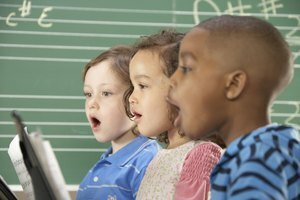 Studying art and music develops cognitive abilities and critical thinking. "Champions of Change, The Impact of the Arts on Learning" was a comprehensive study by the President's Committee on the Arts and Humanities. It concluded that arts education has a positive impact on overall achievement and academic success. Learning to play an instrument teaches children concentration and discipline. Reading and writing music requires mental organization, and mastering an instrument instills a sense of accomplishment and confidence. Kids realize the amount of work and preparation that goes into gaining the freedom of self-expression that comes with learning to play music. Playing music in an orchestra or band teaches students collaborative skills that will serve them throughout life. Learning about art teaches communication skills by using symbolic imagery and colors to express individual ideas. 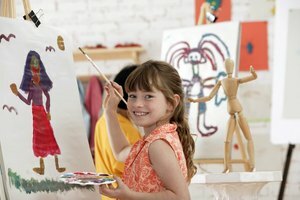 Acquiring knowledge of art history puts kids in touch with cultural traditions because it connects and bonds them with a larger societal community. Different ways of looking at things are learned by studying the arts of diverse cultural and ethnic groups. Art appreciation and production are necessary elements of a well-rounded educational experience. Participation in art and music facilitates self discipline and helps build a strong work ethic. Projects must be planned, implemented and completed individually or as a team working together. Involvement in the arts promotes self expression and cooperation with peers. Learning art and music has practical applications for arts related careers. 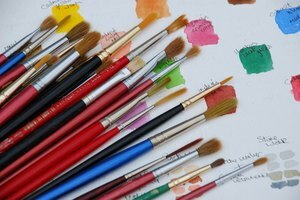 There is a steady demand for commercial artists, teachers and graphic designers. The music industry provides jobs for producers, sound engineers, publicists, promoters and managers. Whitmer, Phil. "The Pros of Having Music & Art Classes in Schools." Synonym, https://classroom.synonym.com/pros-music-art-classes-schools-7889812.html. Accessed 19 April 2019.